You can use Mixxx to perform with MIDI and HID controllers, CD players, vinyl turntables or even just your computer’s keyboard and mouse. 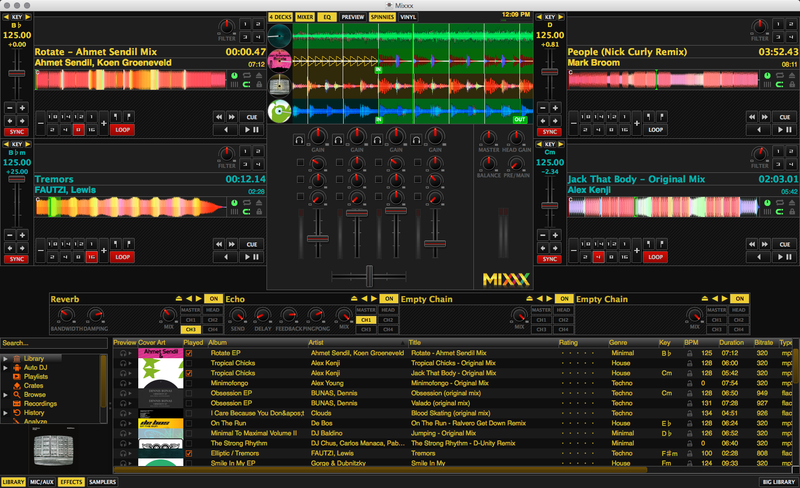 Mixxx enables you to perform live DJ mixes with your digital music collection. It helps you rock the party with DJ controllers, vinyl turntables, or even just your keyboard. It is developed by an international team of volunteers who want to bring the joy of DJing to everyone.